A lovely and contemporary personalised photo frame that can be positioned and personalised in portrait or landscape orientation making a perfect personalised graduation gift. 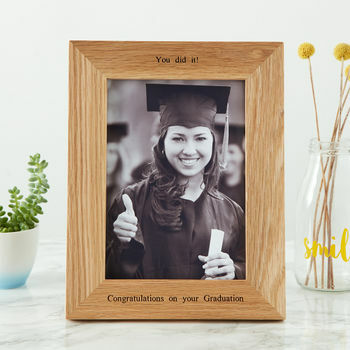 This solid oak graduation photo frame is a perfect gift to celebrate a graduation and display a precious moment or a certificate with the A4 frame option. 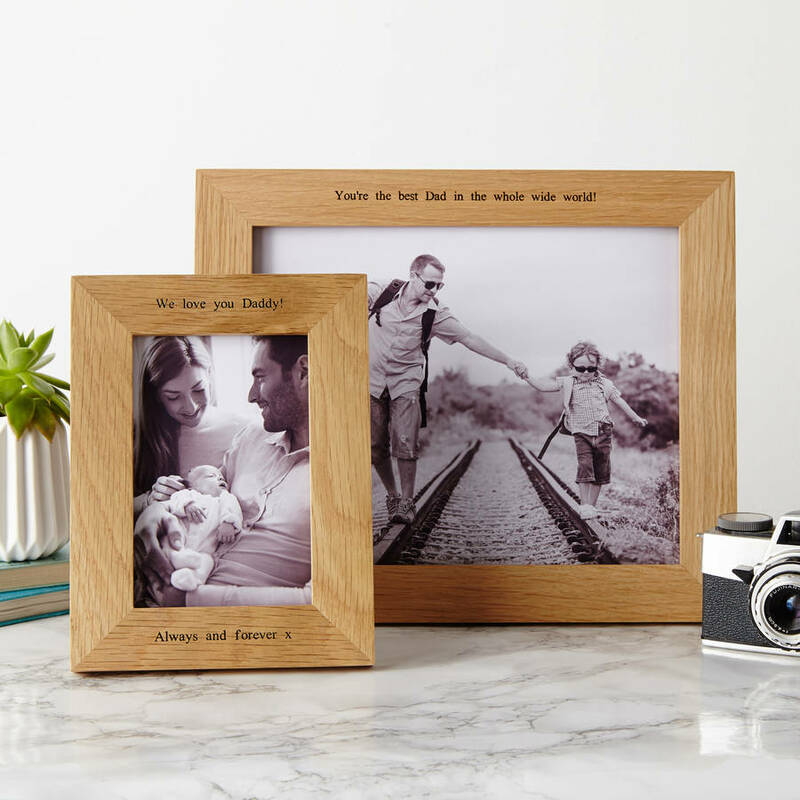 The solid oak frame can be engraved with a personalised message across the top and bottom. 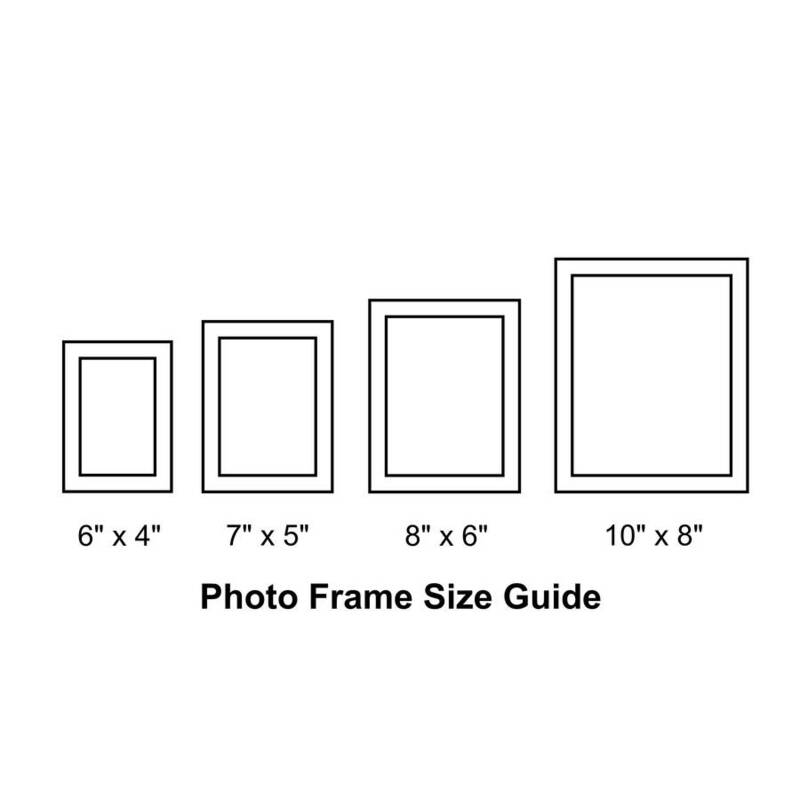 SIZES: You can also choose from the drop down menu frames with an aperture of 6" x 4", 7" x 5", 8" x 6", 10" x 8" and A4 perfect for a certificate. 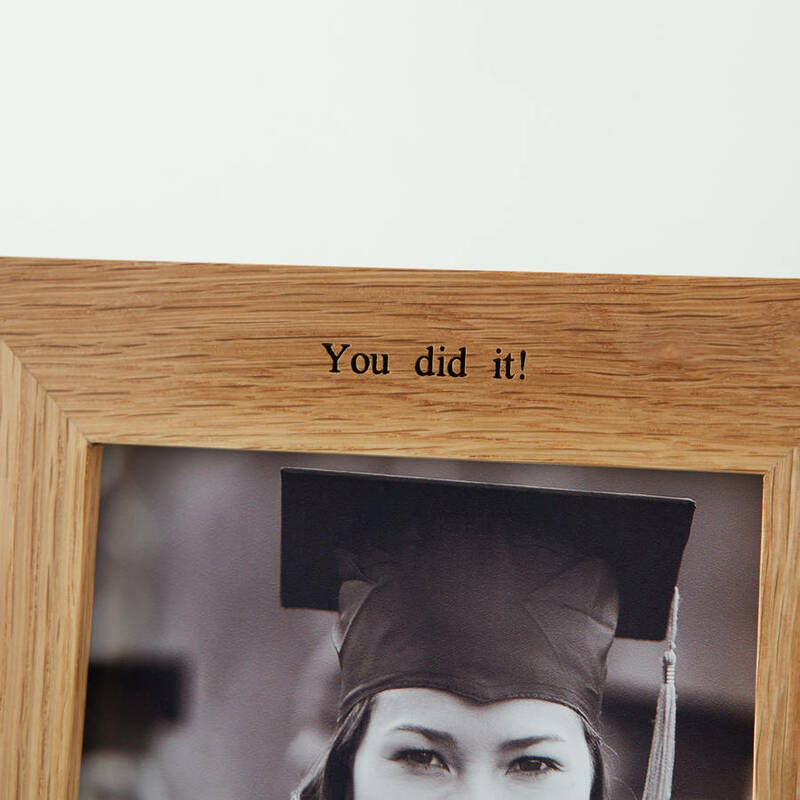 PERSONALISATION: You can add one of engravings like in our photographs or your own unique message special to you. 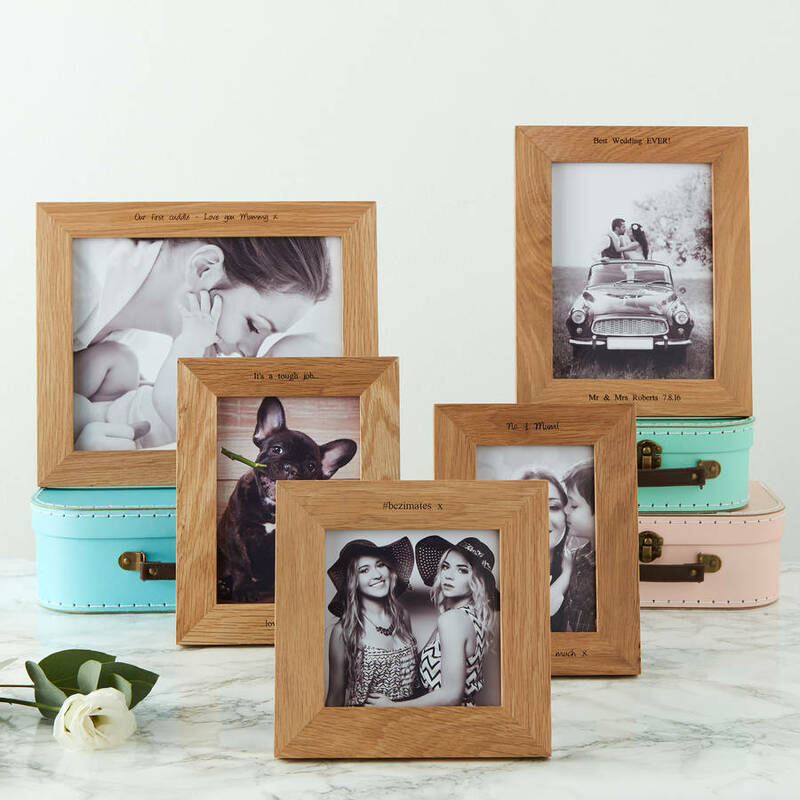 ORIENTATION: The frames can be personalised in portrait or landscape. 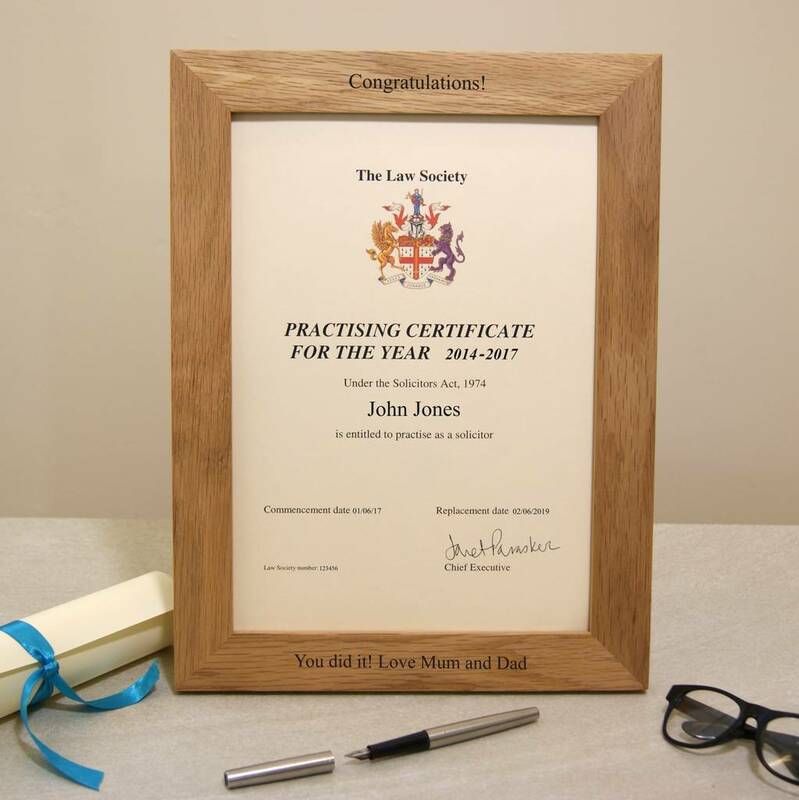 Solid oak frame finished in enhancing and protecting laquer. Hardboard backing and stand and glass panel. 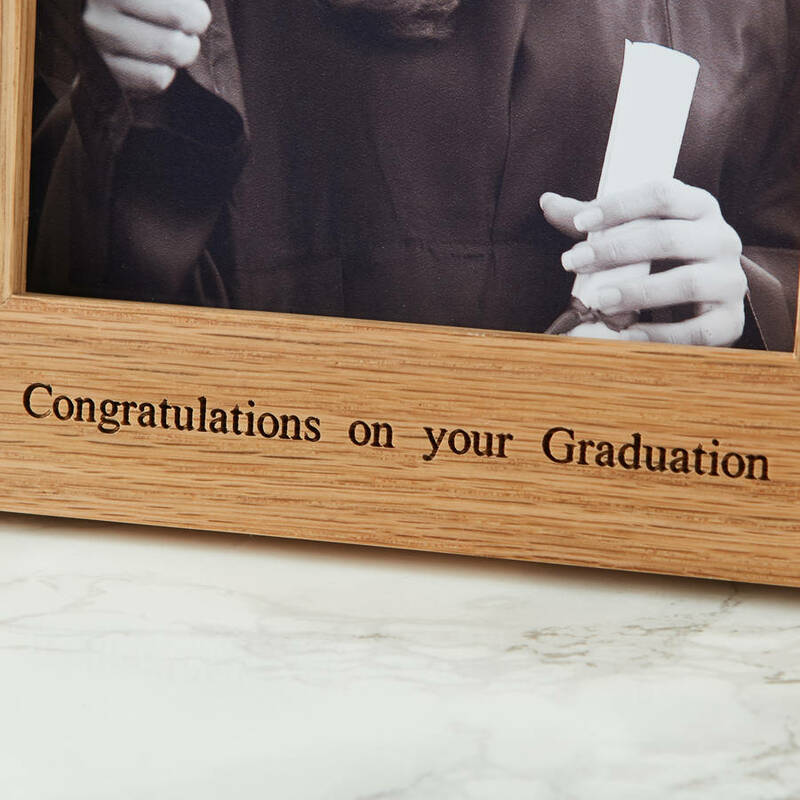 Laser engraved personalisation.